The English rule Scotland through a combination of violence (killing many clan leaders) and money (giving the remaining clan leaders gifts of titles and lands, both in Scotland and England. Then evil King Longshanks (Patrick McGoohan) decides to re-instate Prima Nocte (the right for the lord to take any bride to bed on her wedding night). William Wallace (Mel Gibson), who had seen many of the clan leaders killed, as well as his father, and spent most of his childhood and youth with an educated and wealthy uncle, returns to his home village to start a farm and live a simple life. He falls in love, has a secret wedding to Murron (Catherine McCormack), but then an English soldier attacks her. When she fights back, the English kill her, awakening a rage in Wallace that causes him to lead the Scots against the Brits, much to the chagrin of the Scottish lords. This really is a very good film. It’s tough to dissociate Mel from his relatively recent very allegedly bad behaviour, but in this film, he had indeed put together a great story. Apparently, not all that factually accurate, but I’m not going to quibble about that. It’s long, but there is really a lot to get in, and the battle scenes are pretty fabulous. 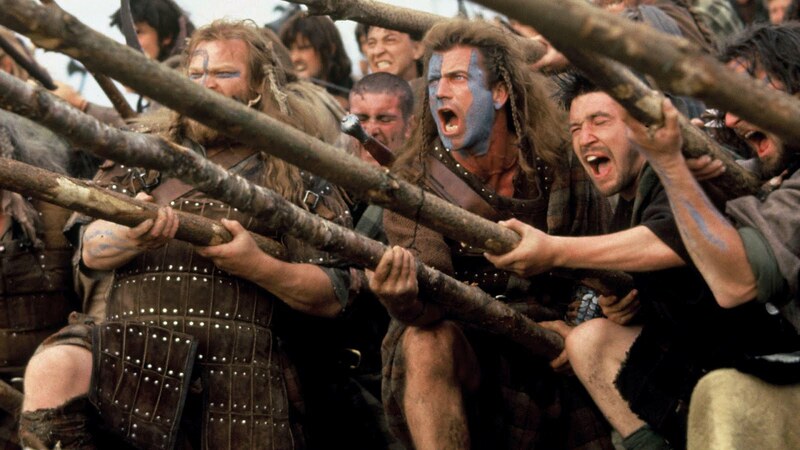 Braveheart won Oscars for Best Picture, Best Director (Mel Gibson), Best Cinematography, Best Effects- Sound Effects editing and Best Makeup and was nominated for Best Writing, Screenplay Written Directly for the Screen (Randall Wallace), Best Costume Design, Best Sound, Best Film Editing and Best Music, Original Dramatic Score.